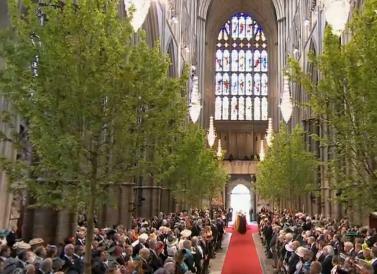 the thing that blew me away the most were those amazing trees in Westminster Abby. whoever thought of those should be knighted or lady-ed or something equally fab. It was such a beautiful wedding. I am like you, the first thing I thought was wow those trees are amazing!! They brought the outside in and were a simple touch to a very formal wedding… With all the stunning artwork and glass…the trees, god made, were the most beautiful. Loved the wedding….everything about it! Heard the trees were brought in at a cost of like 80,000 dollars! The trees were Kate's idea. I'd read here (in England) that the trees were oak to represent their new family crest – oaks for strength. Her earrings which were a gift fron her parents were tiny oak leaves with a tiny, tiny acorn in the middle. 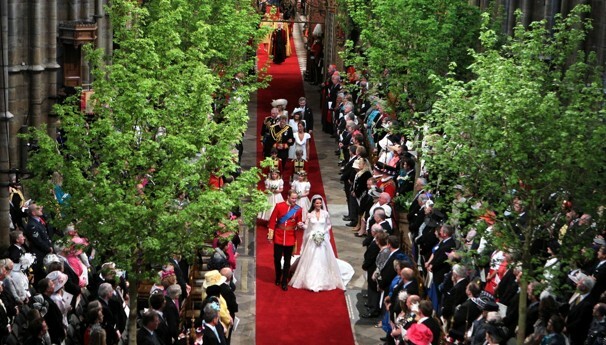 The lace in her dress featured British flowers, rose and thistle, daffodils, etc. I was most impressed with all the thought and symbolism of everything. The forethought that went into everything is amazing. 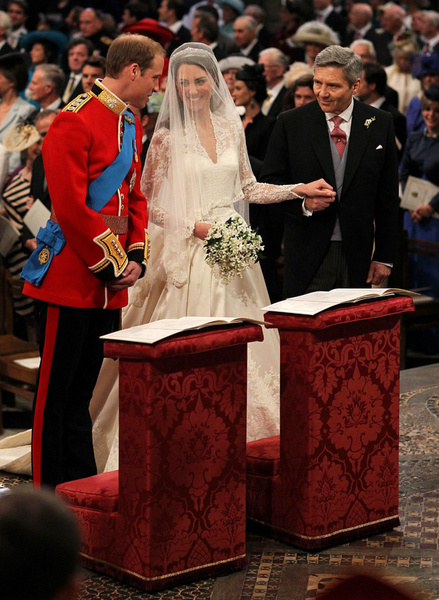 They managed to include some dear British traditions (the flowers in the lace of her dress, the hymns, etc) as well as pay tribute to their families (some of the hymns they chose had been played at the wedding of Prince Charles and Camilla). It was astounding, to me, that by their choices, they were able to include all of Britain as well as making the wedding their very own (in spite of all the protocol).